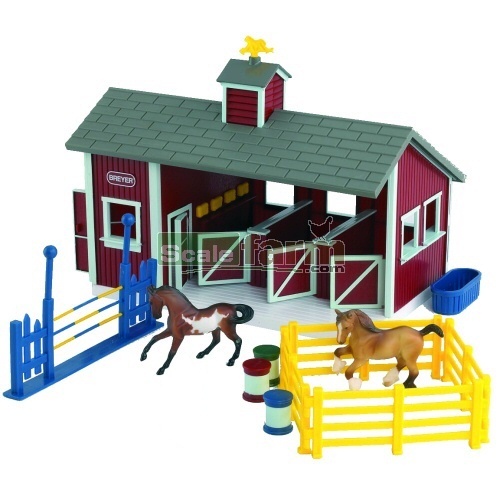 The Stablemates Little Red Stable Set provides a home for all of your Stablemates horses. Authentic and durable, the three stall barn has movable doors and windows and a tack room for storage. Collect all the breeds and colors of Breyer Stablemates horses, sold separately. See enclosed color brochure to view the full line of Breyer models and accessories. Let your imagination play! Suitable for all 1:32 scale horses.